Basement Floor Sealer - The Best Sealer to Use For Basement Floors. What to use and how to do it! WHAT'S THE BEST BASEMENT FLOOR SEALER TO USE? But first, let's talk about why it's a good idea to seal your basement floor. Why should I seal my basement floor and walls? Applying a basement floor sealer is a good way to help protect your basement and home from the harmful effects of moisture vapor, radon gas, mold and mildew. Concrete is normally very porous. After a concrete floor is poured about half of the water in the mix has to evaporate. As this excess of water pushes to the surface, it leaves behind a network of capillaries (pores) inside the concrete. The pores are smaller than a piece of hair, but much larger than water molecules. Water vapor and gases flow easily right through these pores, drawn in by the lower pressure inside your home. This moisture causes mold and musty odors in many basements. Rising basement air then spreads mold spores and radon gas throughout the house. Efflorescence (a white powdery substance on floors and walls) or musty odors are good signs of moisture problems in your basement. Finishing off your basement could trap moisture vapor that naturally migrates up through the concrete. Once the concrete is properly sealed, this should eliminate these types of issues. A deep penetrating silicate based concrete sealer. Penetrating floor sealers work by being absorbed by the porous concrete. The sealer penetrates deep below the surface (up to 4 inches) into the concrete and chemically reacts with the concrete, expanding and blocking all the pores and capillaries. This expanded gel fills the pores and hairline cracks in the concrete, turning the concrete into a solid mass. Basically waterproofing the concrete by not letting anything pass through it or soak into it. This process keeps moisture vapor and radon gas from migrating up through the concrete from the sub-grade below. It dries very quickly and is invisible, this type of sealer will not change the look of the concrete. It doesn't leave a film or skin on the surface which means you can apply paint and other coatings over it. The sealer I use and recommend is RadonSeal deep penetrating concrete sealer. This sealer can be sprayed on with a simple pump up sprayer. This is a very good pump up sprayer to use with the RadonSeal's sealer. Fill it a little over half way, then pump up the pressure and it sprays a nice even coat of sealer onto the concrete. How easy is it to apply this sealer? The application method is very easy. The concrete must be dry, bare and clean. If there is any old paint, sealers, glue, mastic, oil, or grease on the concrete, these must be removed prior to applying the sealer. Immediately after, spray the RadonSeal in a nice even film making sure not to leave behind any puddles. (if you do, spread out the puddles with a floor broom) It's ok to walk on the wet sealer if you have to. Apply a second application 15 - 30 minutes after the first one. The concrete wants to still look damp when you apply this one but no visible sealer on the surface. If it's drying out faster, just apply the second application sooner. If you have really porous concrete and it seems like the concrete just keeps drying out very fast, it's ok to apply a 3rd coating in these areas or on the entire floor if necessary. 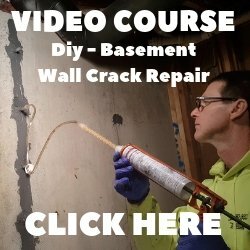 Watch me in the video applying RadonSeal deep penetrating concrete sealer to these concrete walls to block any moisture from coming through them. 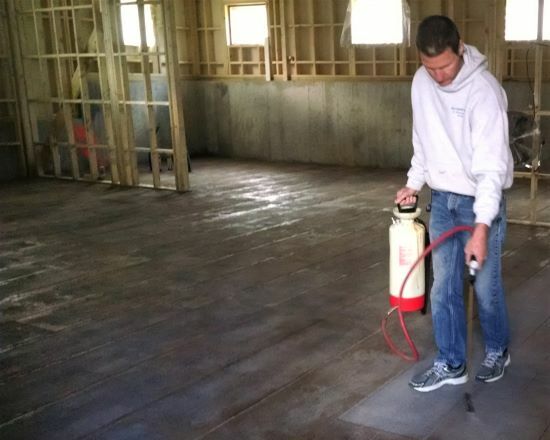 The same method is used to seal your concrete floor. How much sealer will I need to do my floor? 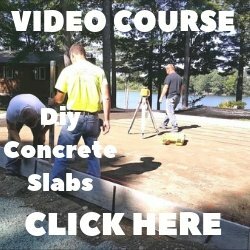 The coverage will depend on how porous the concrete is. For most concrete floors 800 - 1000 square feet, you will need ONE 5 gallon pail of sealer for two applications. That's about 400 square feet per gallon on most smooth troweled concrete floors. Can I paint my basement floor after applying the sealer? Yes, but you must make sure there isn't any residue left behind on the surface of the concrete after you seal it. Just wait about 2 - 3 hours after sealing the floor and rinse the surface with water and a mop. Scrub it a little with a stiff bristle brush while rinsing. Wet vac the water to dry out the floor. This will remove any unabsorbed sealer and make sure the surface is clean and porous enough for the paint to bond. If you have a damp, musty smelling basement, I would highly recommend using RadonSeal's sealer. The sealer won't change the appearance of the concrete, it won't peel or wear off and you never need to re-apply it. It is permanent protection for your basement floor. Sealing basement floors, old or new, is always a good idea. It's also something you can do yourself. Click on CONCRETE SEALER to learn how to prepare the surface before applying a basement concrete floor sealer. Click on PAINTING A BASEMENT FLOOR to learn how to apply epoxy paint in your basement. Click on BASEMENT FLOOR CRACKS to learn how to repair cracks in your basement floor. Click on BASEMENT FLOOR INSULATION to learn how to insulate your basement floor. Learn all about MOISTURE VAPOR BLOCKERS.